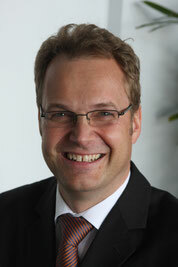 Tim Scharwath, Head of Global Air Freight at Kuehne + Nagel exits the logistics mammoth within the next twelve months. In a K+N media release a precise date for his intended departure is not given. Meanwhile, the search for a successor has begun. Sharwath served K+N in different positions for 24 long years. His upcoming exit comes as surprise as the company’s air freight biz runs successfully, seen by the 2015 annual results. According to figures, the tonnage increased by 4.7 percent, totaling 1,250,000 tons, thereby cementing K+N’s position as the world’s second largest player in cargo, only surpassed by competitor DHL. Tim Scharwath, since 2011 member of the Management Board of Kuehne + Nagel International AG and responsible for global airfreight, decided to leave the company within the next twelve months in order to take on a new challenge, reads a K+N release. Under Scharwath’s stewardship, K+N focused on industry-specific air freight solutions, which resulted in significant market shares gained in the aerospace, pharmaceutical and perishables sectors. In a statement, Kuehne + Nagel regrets Scharwath’s decision and will inform about the succession in due course.